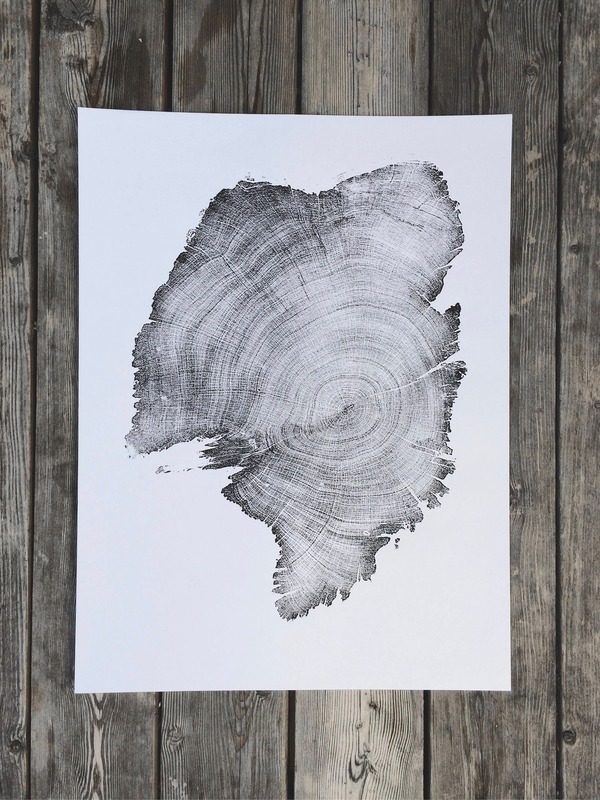 Real juniper tree ring print. 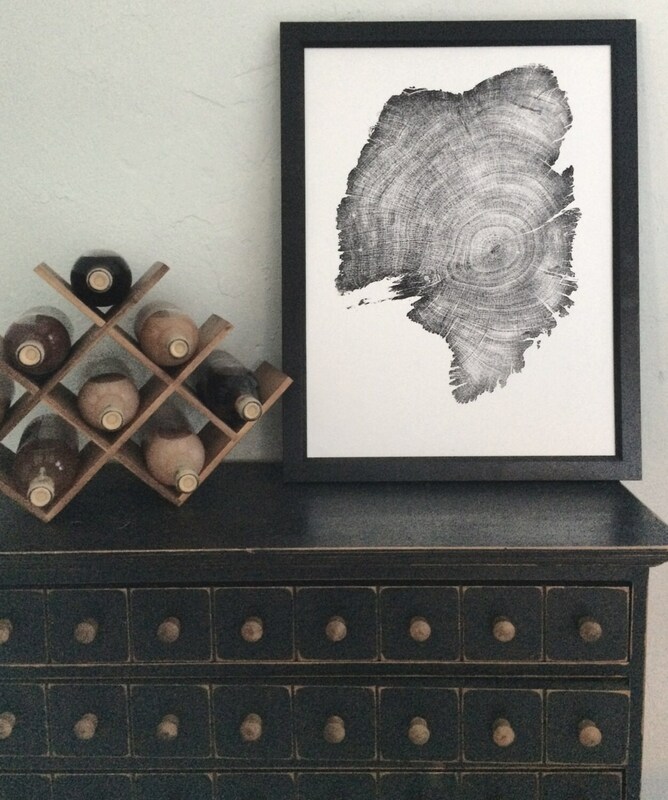 Tree ring print made by had from real juniper tree and signed by the artist, Erik Linton. This tree was already more than 300 years old when Columbus reached the Americas. It grew on a dry rocky hillside in the Wasatch Mountains of Utah. 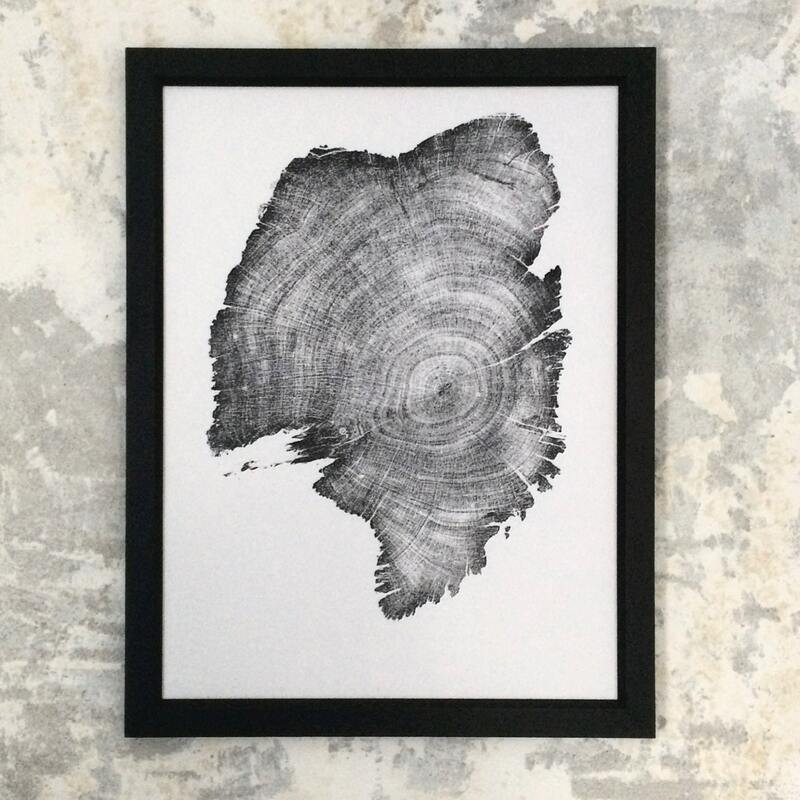 The wood used for all of my prints (including this one) is only taken from previously fallen and dead trees in areas where gathering wood is permitted. The unusual shape of this tree section shows how the lower portion was exposed to the elements and was actually being eroded even as the tree was continuing to live and grow. 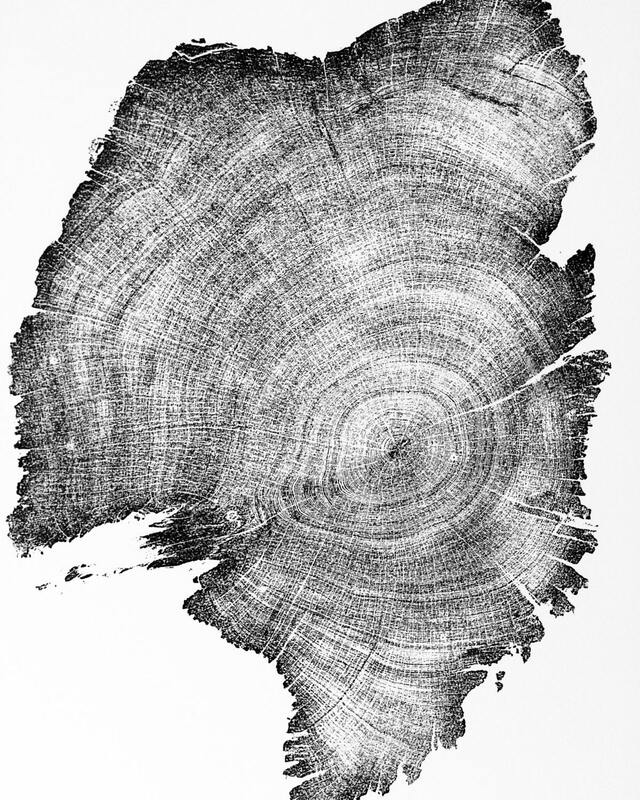 The jagged exterior of the tree is the result of perhaps centuries of weather and exposure. 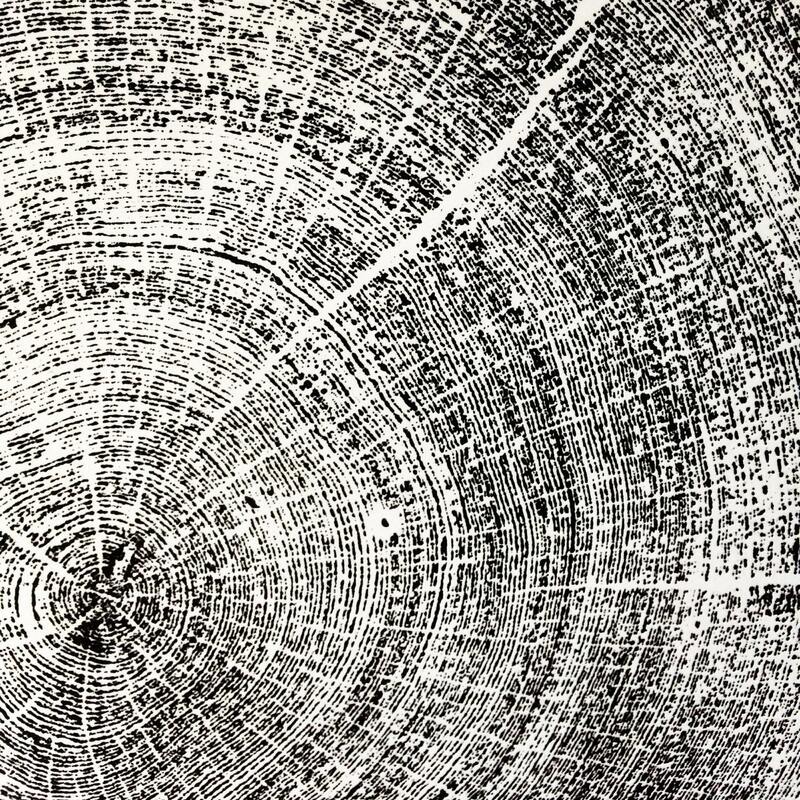 It is unclear when the tree actually died, but it is possible that the central rings began growing sometime in the 11th century. Capturing the texture and the detail of this section of wood was particularly challenging because the rings grew so tightly together. Because of the extra care that is needed to produce these images I have decided to make these limited edition prints. only 500 of these prints will be made. Each one is pressed by hand directly from the cut of wood so no two are exactly alike. Lovely! I can't wait to have it framed! The print is very beautiful - gorgeous ink and a great size. However it arrived today in an open-ended shipping tube (missing the white plastic caps on either end, apparently no tape). It's currently pouring outside but somehow luckily the paper doesn't seem to have gotten wet while sitting on our stoop before we got home. One of the more expensive prints I've bought, so a bit disappointing to not see careful packaging. Absolutely stunning print that I'm proud to hang in my home. Looks great with a metal frame, something different!